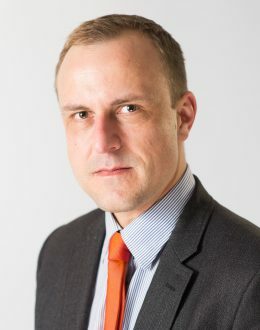 Peter Neumann is Professor of Security Studies at the Department of War Studies, King’s College London, and serves as Director of the International Centre for the Study of Radicalisation (ICSR), which he founded in early 2008. Neumann has authored or co-authored five books, including Old and New Terrorism, published by Polity Press in 2009; and The Strategy of Terrorism (with MLR Smith), published by Routledge in 2008. He is the author of numerous peer-reviewed articles, dealing with different aspects of terrorism and radicalization. Shorter pieces have appeared in the New York Times, the New Scientist, the London Review of Books, the Wall Street Journal, and other periodicals. Neumann has led research projects and written influential policy reports about issues such as online radicalization, foreign fighter networks, prison-based de-radicalization programs, and terrorist recruitment in Europe. The most recent are “#Greenbirds: Measuring Importance and Influence in Syrian Foreign Fighter Networks” (ICSR, April 2014; with Joseph Carter and Shiraz Maher) and “Countering Online Radicalization in America” (Bipartisan Policy Center, December 2012). Neumann is a member of the editorial boards of three leading, peer-reviewed journals – Studies in Conflict and Terrorism, the Journal of Strategic Studies and Democracy and Security – and serves as investigator for the National Consortium for the Study of Terrorism and Responses to Terrorism (START) at the University of Maryland. He is an advisor to the Club de Madrid, the association of former Presidents and Prime Ministers, and has given evidence before committees of the U.S. House of Representatives and the UK House of Commons. Moreover, he has served as an expert witness for the UK’s Crown Prosecution Service, Northern Ireland’s Public Prosecution Service, and Scotland’s Crown Office. At the Department of War Studies, Neumann co-directs the MA program in Terrorism, Security and Society, and supervises five PhD students. He has taught courses on terrorism, counterterrorism, intelligence, radicalization and counter-radicalization at King’s College London, Georgetown University, Johns Hopkins University, and Sciences Po (Lyon). Having studied in Berlin, Belfast and London, Neumann holds an MA in Political Science from the Free University of Berlin (Dipl.-Pol. ), and a PhD in War Studies from King’s College London. Before becoming an academic, he worked as a radio journalist in Germany.